Tom Kelley serves as Special Counsel to Fenno Law, after retiring from a career of more than 40 years defending the rights and privileges of news and media organizations nationwide. A trial lawyer, Mr. Kelley has been described by Chambers USA as “a go-to guy in libel defense and media litigation in Colorado and nationally. His ease in the courtroom and excellent judgment [are] singled out by [his] clients.” Mr. Kelley has been listed in The Best Lawyers in America every year since 1991, and was their First Amendment Lawyer of the Year in 2011 and 2015, and First Amendment Litigation Lawyer of the Year in 2012. Mr. Kelley assists Fenno Law with all aspects of news, media and First Amendment law; along with trials, arbitrations, and other litigation matters. 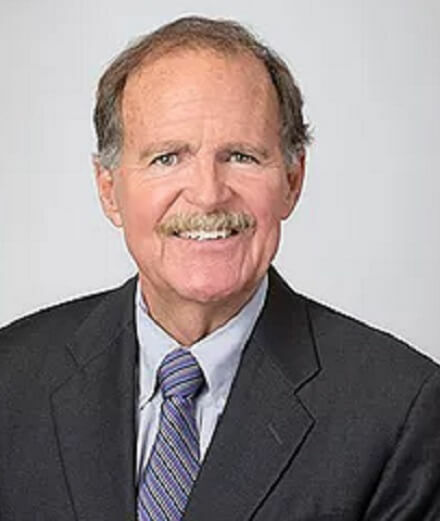 Mr. Kelley previously was with the national media and entertainment law practice of Ballard Spahr; and before that was a partner at the highly regarded First Amendment boutique law firm, Levine Sullivan Koch & Schultz, which merged with Ballard Spahr in 2017. Defended NBCUniversal in an action alleging defamation and unlawful hidden camera recording brought by Brokers’ Choice of America, and prevailed in the District of Colorado and the 10th Circuit Court of Appeals. Defended Gawker Media in a defamation action by former Major League Baseball pitcher Mitch Williams in New Jersey Superior Court, and prevailed on a motion for summary judgment on grounds of failure to show actual malice. Represented The Denver Post in the trial and appeal of a seminal Colorado court case that established the rule that the actual malice standard applies in libel actions brought by private figures that involve matters of public concern. Successfully defended The Durango Herald and its former arts and entertainment editor in the District of Arizona and the Ninth Circuit Court of Appeals in a tort action arising from an email the editor sent to the publicist of a religious-oriented musical group. Successfully defended a filmmaker in the 10th Circuit Court of Appeals after the plaintiff, a drywall contractor, challenged the district court’s award of summary judgment in a libel action arising from a documentary on the employment of migrant laborers. The court held that the film involved a matter of public concern and that the plaintiff had not offered sufficient proof of actual malice as required under Colorado law. Successfully represented Penthouse International in an appeal to the 10th Circuit Court of Appeals that reversed a $26.5 million jury verdict and recognized First Amendment protection for satire.